Understanding what it means to have a rainbow aura is important to anyone interested in energy work. It is commonly believed that these healers and those in other healing arts and medical professions radiate this range of colors in their auras. People who meditate regularly and are focused on connecting with the divine often radiate an aura that's a colorful mix. Healers of all kinds, especially ones working with the energy fields of the human body often have rainbow auras. Many people who are spiritually evolved and working on attaining enlightenment exhibit rainbow auras. It's believed that first-time incarnations to the earth plane have a rainbow aura since they are still connected to the realm of all creation. Rainbow auras will look different from one person to another. Those differences are guided by the individual's current emotional, mental, physical or spiritual status. By paying attention to the color saturation and intensity, you can assess telltale signs about what is going on in that person's life. This information can guide you to a better understanding of the meaning of the aura colors. Some rainbow auras appear as stripes while others are like a sunburst of colors that emanate around the entire person. Both indicate an energetic and passionate person with a high level of intuition. Many auras have distinct bands of layers that outline the person's body with uneven borders and edges that usually blend into each other. This aura is found in someone who is nurturing yet methodical in everything they do. 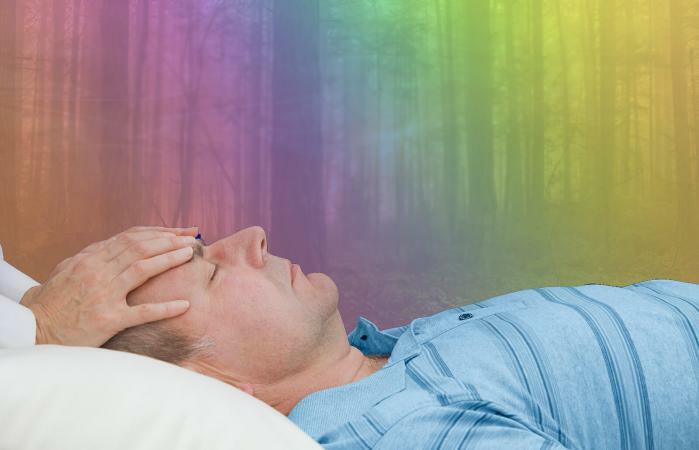 It is very common for healers, especially energy workers to have a very strong rainbow aura emanating around their hands. A pale rainbow aura can be the benchmark of a potential healer or a sign that the person is just beginning to discover their gift in the healing arts. Blurred or murky rainbow auras can indicate a conflicted individual. This can be any kind of issue but is often related to the person's healing talents and/or intuitive nature. A rainbow aura is often the result of the person's chakra centers being open and spinning properly but at a higher than normal frequency. It is an indication that these main chakra points are flowing with healing and beneficial chi energy. This state of health seen in the aura creates a very radiant aura. In this kind of rainbow aura, the surge of energy and creativity is very brilliant and powerful to the observer. You may see more than one spirit orb gravitating to a person displaying a rainbow aura. The light and energy that shines from this type of aura attract other energies often in the form of spirit or ghost orbs. Pay attention to the color of the orb(s) to gain a better insight into what is happening with the person's aura. Keep in mind that auric light isn't discriminating. That means positive and negative energies and spirits can be attracted to a bright aura. Your aura energy often instinctively repels negative energies, especially those malevolent ones that wish to attach themselves to this powerful energy source. Most intuitives have enough discernment to sense when this type of parasitic entity attempts to attach itself to them. They should know various techniques to protect themselves from psychic attacks, especially as a preventive measure. It is beneficial to understand what it means to have a rainbow aura. You are better prepared to use this powerful energy to gain greater healing insight and pave your way to enlightenment.